It was great finally to meet John Perry last night - just did a quick count, and he's the 19th author in the series who I've actually met in person. 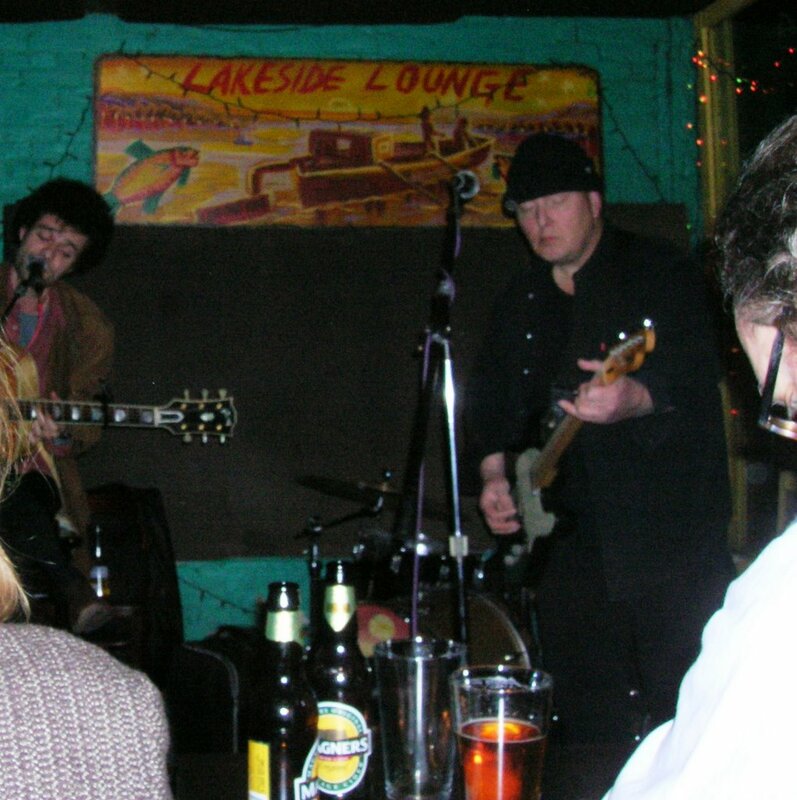 John played some beautifully understated guitar, accompanying Freddie Stevenson at the Lakeside Lounge. The first song in particular, "What's the Sign for Love?" was magical. There's Freddie on the left of the shot, and John on the right. Photo credit: the very lovely Ms. Emma Cook.